Georgia is the 24th largest state of United States of America in terms of Area. The capital of Georgia is Atlanta. Georgia was the thirteenth state to ratify the US Constitution on January 2, 1788. 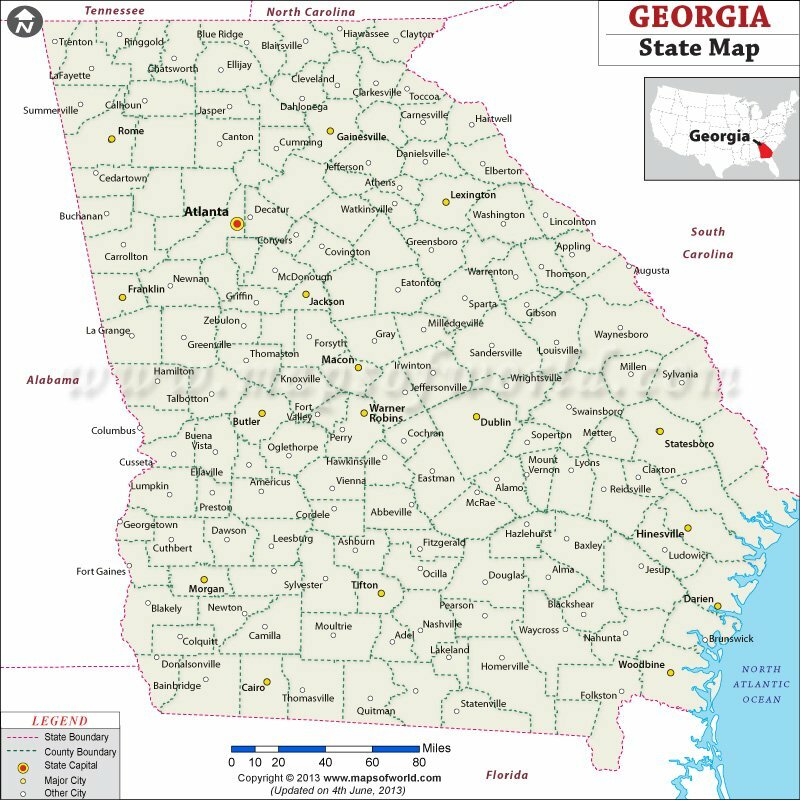 Georgia covers an area of 59,425 square miles (153,909 square kilometers), and has a population of about 9,919,945. The capital and largest city of Georgia is Atlanta, which has a metro area population of over 5.3 million, the ninth largest metropolitan area in the country. Georgia is a southern state, located in the southeast of the United States. Georgia shares borders with Tennessee, North Carolina, South Carolina, Florida, and Alabama. Georgia has about 100 miles of coastline along the Atlantic Ocean. Major cities in Georgia include Athens, Augusta, Savannah, Columbus, and Macon. The main highways of Georgia connect these major cities. Some of Georgia's major interstates include Interstate 20, 75, 85, and 16. There are also many state highways and railways traversing the state.